Discover a face mask for every occasion with the GLAMGLOW Multi-Masking Kit; a six piece collection that brings together all of GLAMGLOW’s iconic mud treatments. Each mask delivers an array of skincare benefits, from clearing the complexion to visibly firming skin, meaning you can use each product as a full facial mask, or combine the formulas and benefits for the ultimate multi-masking experience. Each treatment arrives in a convenient travel size, meaning the set is perfect for perfecting skin whilst on-the-go. Combat common skin concerns with the SUPERMUD® Clearing Treatment; an innovative, unisex facial mask that tackles blemishes, breakouts and ingrown hairs, whilst visibly tightening skin’s texture and pores. Ideal as a full facial mask or as a one spot solution for blemished areas, the mask works to absorb skin’s impurities, without affecting any natural oils. Enriched with Glycolic, Salicylic and Lactic Acids, the effective mask works to heal damaged skin and smooth pigmentation. The mud mask is also able to encourage collagen synthesis at the visage, which results in a youthful appearance and radiant, soft skin. Expect a visibly healthy visage that is calm, clear and comfortable. Achieve a smoother and brighter complexion with the YOUTHMUD® Tinglexfoliate Treatemnt; a ten-minute face mask that works to exfoliate, refine and revive radiance. Highly coveted by professionals and celebrities, the 'facial in a jar' utilises French Sea Clay to gently eliminate dead, dull and uneven skin, whilst Volcanic Pumice Rock expertly dissolves pore-clogging impurities for a refined, revitalised complexion. 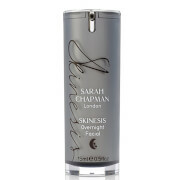 Its antioxidant-rich formula protects and restores skin to reveal a luminous, photo-ready finish. Transform the complexion with the GRAVITYMUD™ Firming Treatment; an effective mud mask that delivers a visible face lift. The mask arrives with a convenient brush applicator, which effortlessly sweeps the product onto the visage. Whilst sat on skin, the mask changes from a bright white cream to a unique, iridescent chrome colour. 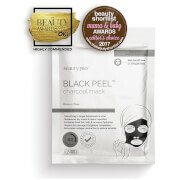 The mud mask is powered by TEAOXI™ Marshmallow and Liquorice Leaf, which work in synergy to combat loss of elasticity. The mask peels away to reveal firm, supple and lifted skin, with enviably defined contours. Replenish and revitalise the complexion with the THIRSTYMUD™ Hydrating Treatment; an intense face mask that works to infuse dry skin with long-lasting moisture. Fortified with innovative Dewdration™ and HydraPack™ technologies, the deeply nourishing treatment can be used in the morning, evening or in-flight to rejuvenate parched skin in need of a boost. Hyaluronic Acid is blended with Raw Honey and Ginger Root to soften and condition, whilst reviving radiance and restoring suppleness for a smooth, healthy-looking complexion. Treat lack-lustre skin to the FLASHMUD™ Brightening Treatment; a luxurious, radiance-reviving facial treatment that works to restore a glowing, healthy-looking complexion. Harnessing the powers of Flashlucent™ and Reflectrum™, an innovative blend of light-reflecting ingredients boosted with ultra-fine Diamond Photoluminescence, the revitalising mask combats dull, uneven skin and dark circles to reveal an energised, awakened complexion. Suitable for men and women of all skin types, you can expect restored luminosity and a picture-perfect finish. The POWERMUD™ Dual Cleanse Treatment boasts a mud-to-oil formula that provides a deep cleanse, whilst remaining gentle to skin. Removing dead surface skin and drawing out dirt, impurities and makeup buildup, the treatment reveals a clean, clear and silky soft complexion. Made with 4-Clay Blend Technology, Claytox™ provides detoxification and gentle cleansing for the skin. SUPERMUD®: Water\Aqua\Eau, Kaolin, Magnesium Aluminum Silicate, Mandelic Acid, Carbon, Eucalyptus Globulus Leaf, Tartaric Acid, Pyruvic Acid, Lactic Acid, Salicylic Acid, Glycolic Acid, Eucalyptus Globulus Leaf Powder, Aloe Barbadensis Leaf Juice, Glycyrrhiza Glabra (Licorice) Root Extract, Cucumis Sativus (Cucumber) Fruit Extract, Hedera Helix (Ivy) Extract, Symphytum Officinale (Comfrey) Leaf Extract, Chamomilla Recutita (Matricaria) Extract, Peg-12 Dimethicone, Caprylyl Glycol, Sodium Hydroxide, Butylene Glycol, Mentha Piperita (Peppermint) Oil, Hectorite, Hexylene Glycol, Glycerin, Calendula Officinalis Extract, Maltodextrin, Ethylhexylglycerin, Xanthan Gum, Fragrance (Parfum), Limonene, Benzyl Benzoate, Linalool, Phenoxyethanol, Potassium Sorbate, Sodium Benzoate, Iron Oxides (Ci 77499). YOUTHMUD®: Water\Aqua\Eau, Montmorillonite, Kaolin, Magnesium Aluminum Silicate, Synthetic Wax, Pumice, Camellia Sinensis Leaf, Cucumis Sativus (Cucumber) Fruit Extract, Chamomilla Recutita (Matricaria) Extract, Quartz, Hedera Helix (Ivy) Extract, Symphytum Officinale (Comfrey) Leaf Extract, Camellia Oleifera Leaf Extract, Glycerin, Tocopheryl Acetate, Calendula Officinalis Extract, Ethylhexylglycerin, Hexylene Glycol, Lavandula Hybrida (Lavandin) Oil, Caprylyl Glycol, Pvp, Xanthan Gum, Fragrance (Parfum) , Hexyl Cinnamal, Linalool, Benzyl Benzoate, Limonene, Cinnamal, Geraniol, Chlorphenesin, Phenoxyethanol. GRAVITYMUD™: Water\Aqua\Eau, Polyvinyl Alcohol, Alcohol Denat., Butylene Glycol, Glycerin, Ethylhexyl Hydroxystearate, Hamamelis Virginiana (Witch Hazel) Water, Montmorillonite, Pentylene Glycol, Illite, Polysorbate 20, Canadian Colloidal Clay, Caprylyl Glycol, Althaea Officinalis Leaf Extract, Tapioca Starch, Chondrus Crispus (Carrageenan), Colloidal Platinum, Dipotassium Glycyrrhizate, Alcohol, Ascophyllum Nodosum Powder, Polysorbate 80, Polymethylsilsesquioxane, Hydroxypropyl Methylcellulose, Citric Acid, Lecithin, Pullulan, Porphyridium Cruentum Extract, Soy Isoflavones, Sodium Hyaluronate, Xanthan Gum, Fragrance (Parfum), Coumarin, Disodium Edta, Phenoxyethanol, Sorbic Acid, Potassium Sorbate, Bismuth Oxychloride (Ci 77163). THIRSTYMUD™: Water, Glycerin, Caprylic/Capric Triglyceride, Butylene Glycol, Cyclopentasiloxane, Pyrus Malus (Apple) Fruit Extract, Peg-8, Peg-100 Stearate, Glyceryl Stearate, Cocos Nucifera (Coconut) Fruit Extract, Zingiber Officinale (Ginger) Root Extract, Camellia Sinensis Leaf Powder, Olea Europaea (Olive) Leaf Powder, Tetrahexyldecyl Ascorbate, Honey (Mel), Allantoin, Saccharide Isomerate, Sodium Hyaluronate, Tocopheryl Acetate, Hexylene Glycol, Cetearyl Alcohol, Sodium Polyacryloyldimethyl Taurate, Caprylyl Glycol, Ethylhexylglycerin, Disodium EDTA, Hydrogenated Polydecene, Polysorbate 60, Menthoxypropanediol, Cetyl Alcohol, Acrylates/C10-30 Alkyl Acrylate Crosspolymer, Glyceryl Acrylate/Acrylic Acid Copolymer, Avena Sativa (Oat) Bran Extract, Kaolin, Buteth-3, Trideceth-10, Benzophenone-4, Sodium Benzotriazolyl Butylphenol Sulfonate, Tris (Tetramethylhydroxypiperidinol) Citrate, Tributyl Citrate, Aminomethyl Propanol, Phenoxyethanol, Fragrance, Coumarin, Linalool. FLASHMUD™: Water, Kaolin, Synthetic Wax, Cetyl Alcohol, C12-15 Alkyl Benzoate, Butylene Glycol, Acetyl Glucosamine, Niacinamide, Polymethylsilsesquioxane, Pumice, Glyceryl Stearate, Peg-100 Stearate, Pentylene Glycol, Quartz, Betula Alba Leaf Extract, Betula Pendula Wood Powder, Tetrahexyldecyl Ascorbate, Paeonia Suffruticosa Root Extract, Jasminum Officinale (Jasmine) Flower Extract, Lilium Candidum Bulb Extract, Rosa Canina Flower Extract, Camellia Sinensis Leaf Extract, Magnesium Aluminum Silicate, Tocopheryl Acetate, Diamond Powder, Polymethylsilsesquioxane, Xanthan Gum, Fragrance (Parfum), Benzyl Alcohol, Linalool, Amyl Cinnamal, Benzyl Benzoate, Benzyl Salicylate, Geraniol, Hexyl Cinnamal, Limonene, Potassium Sorbate, Lactic Acid, Allantoin, Disodium EDTA, Ethylhexylglycerin, Salicylic Acid, Glycerin, Ribes Nigrum (Black Currant) Seed Oil, Octyldodecyl Oleate, Octyldodecanol, Octyldodecyl Stearoyl Stearate, Rosmarinus Officinalis (Rosemary) Leaf Extract, Solidago Virgaurea (Goldenrod) Extract, Titanium Dioxide (CI 77891), Phenoxyethanol. Nothing else to say about this masks other than AMAZING (used almost all of the masks) The tubes are really small, but you can get 5-6 uses of the grey one, and 3-4 uses of the smaller ones. (uses = full face) It's really good to try several masks and see what's your preference without spending a lot of money in one mask - that I already did, because I bought a bigger version of the mudmask, flashmud and gravity mud). Mudmask is my favourite to use around the nose area (combo skin/acne-prone). Overall I think they do what they are supposed to do and I'm happy with them. ---------------- Tenho apenas a dizer que ADORO este set (usei quase todas as máscaras). Os tubos são realmente pequenos, é possível usar o prateado 5 ou 6 vezes em toda a cara e os mais pequenos 3 ou 4. O kit é óptimo para experimentar quais as máscaras se adaptam melhor ao nosso tipo de pele sem gastar dezenas de euros num só pote. (Apesar de já o ter feito na mudmask, a flashmud e a gravitymud). A Mudmask é a minha favorita para limpar os poros e os pontos negros à volta da zona do nariz e das bochechas (pele mista/acne-prone). Acho este kit super interessante e as mascaras no geral fazem o que prometem. Recomendo.